Accuweigh supplied weighing scales for a speciality supplier of packaged herbs and spices on Queensland’s North Coast. 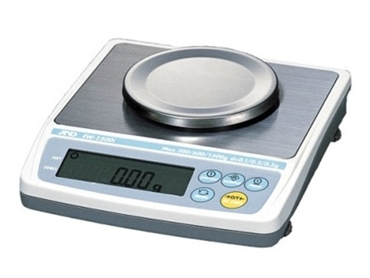 Supplied by Accuweigh’s Brisbane branch, the three sets of compact digital scales feature triple ranging operation to ensure high accuracy across a wide weighing range. The triple ranging function can provide high weighing accuracy on smaller items while also retaining the ability to weigh heavier items at normal weight resolutions. The first weighing range allows items up to 300g to be weighed in 0.1g divisions, switching internally to a capacity of 600g by 0.2g, then finally capable of weighing up to 1500g by 0.5g divisions. Accuweigh’s compact digital scales are ideal for use in production line sampling applications where fast weight readings are required during weights testing of random product samples. The large 16mm high LCD digits with backlighting ensure excellent reading visibility under all lighting conditions. A standard comparator function initiates a HI/OK/LO annunciator for faster operator identification of weight sampling and the full digital calibration can be performed with a user definable mass. Australia’s leading industrial weighing company, Accuweigh operates eight branches across mainland states providing offering superior product support on all compact digital scales, scales and weighing equipment.